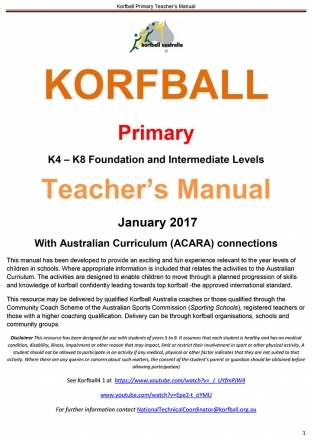 Based on the approach of Lisa Smith, P.E.teacher, Hillmorton High School, New Zealand and Roy Kirkby, Adelaide Australia. 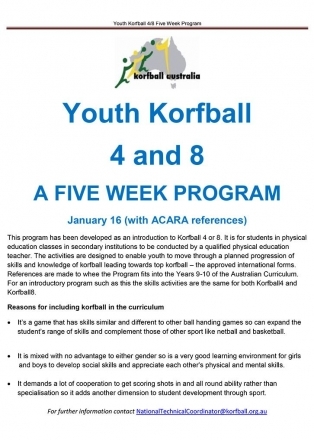 It is often difficult introducing korfball, especially to teenagers brought up in single gender sports, to get them to think and act differently from their traditional gender stereotypes. 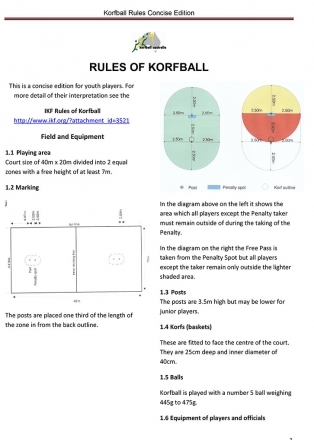 This approach is designed for use prior to taking up korfball, or in the early stages. The challenge is questions you might ask students. 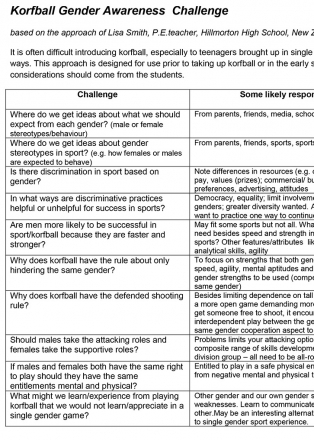 The responses and considerations should come from the students themselves. 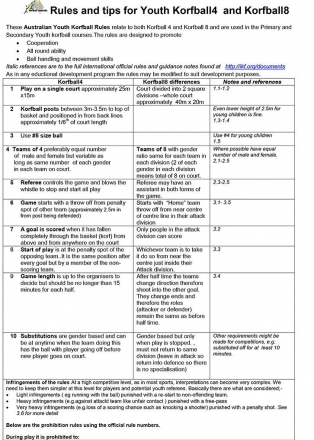 Download the Korfball Gender Awareness Challenge.